If you have spent endless hours buffing and waxing and are not satisfied with the results, try SHINE ON. You only have to clean, scrub and prep the surface, then simply apply SHINE ON and watch the MAGIC HAPPEN. You won’t believe the results! 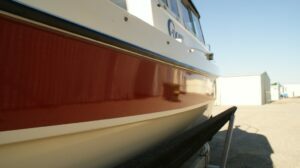 Available in Kits for RV/Boat sizes Under 30' and over 30'. Kits Include everything needed including Microfiber towels with instruction booklet. SHINE ON is a sealer, NOT a wax or polish. It provides a seal coat shine to the surface of the fiberglass and gel coat and can be applied with ease. SHINE ON does not last forever and requires regular maintenance and yearly re-coating. If you have a recreational vehicle that is weather damaged and cooked by the sun, we have the product for you! Shine On Will restore your surface to that factory new look it had when it was new. With just a few simple and easy steps, and half the labor compared to buffing and waxing, you can achieve the results that until now, only the professionals could give. You can achieve the professional look of a sprayed on clear coat, at a fraction of the cost, and have the satisfaction of doing it your self! First, prep the surface with Shine On Surface Cleaner as per the instructions. Very easy. Just like you would before applying anything! Prepping the surface is an important part and essential part of the Shine On application. Second, apply Shine On clear coat to your micro fiber towel and wipe it on in nice easy strokes! That’s it! Just let it dry and apply additional coats as needed, until you get to the shine! Maintain your vehicle or vessel through out the year by routinely washing with a mild soap or wash and wax product, and then once a year apply 1 to 2 coats of the clear coat and you will be shining for years! No buffing! Its really that easy! Do NOT store the product in direct sunlight. Do NOT let the product freeze. 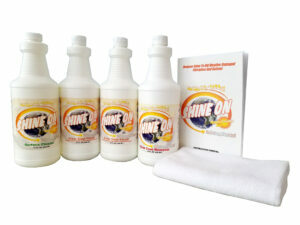 SHINE ON products have an approximate shelf life of 12 months. 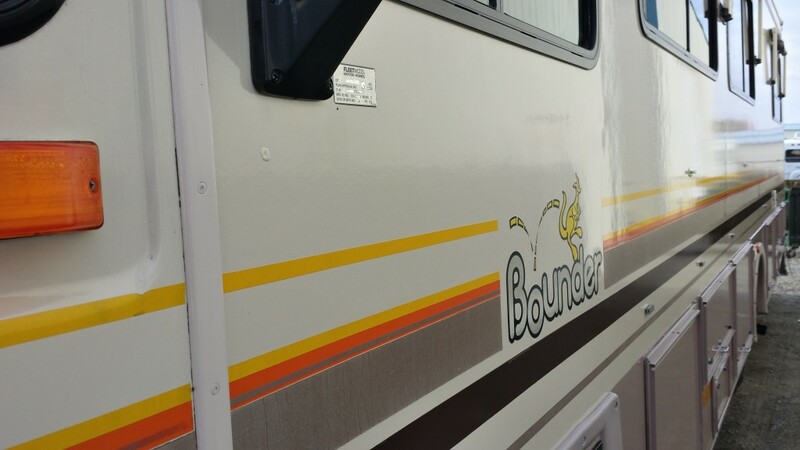 To keep your recreational vehicle shiny and new looking, it is important that you follow our routine maintenance program. After the initial SHINE ON application, two or more coats need to be applied every 12 months to maintain the vehicles shiny appearance. SHINE ON is intended for use on recreational vehicles that are dull, faded, sun-baked or discolored. 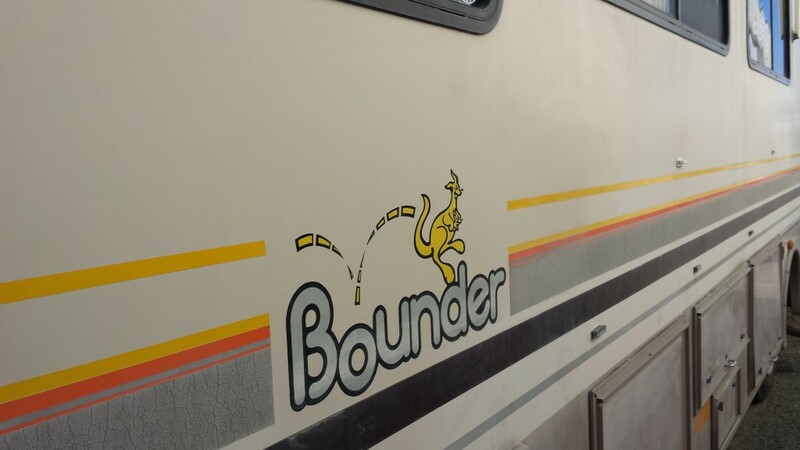 If the surface of your recreational vehicle is still shiny and/or shine can be restored with buffers and waxes, then your vehicle is NOT ready for SHINE ON. 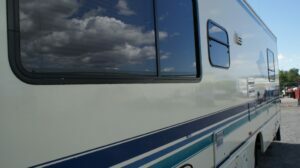 SHINE ON is made for older RV's, 5th Wheels, Travel Trailers and Boats.